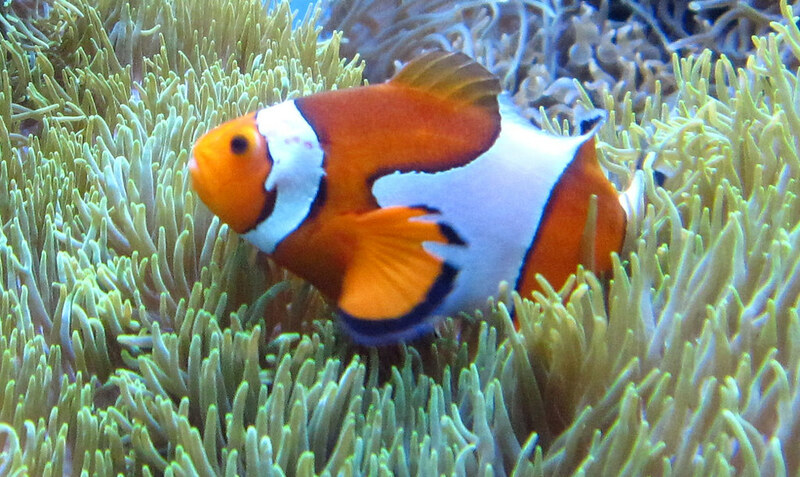 Clown fish are fish that are able to swim among sea anemone without being stung. They are also called anemonefish because of this. They are omnivorous. They live in the Pacific and Indian Oceans in swallow waters and reefs.